The US holiday of Thanksgiving may well be the healthiest day of the year. Now that might sound a bit counterintuitive, given the amount of gravy, stuffing, mashed potatoes and pumpkin pie that often fills a person’s Thanksgiving plate. So I should be more precise. Giving thanks may make a key difference in our enjoying greater health. Here’s what I mean. I recently came across a study that looked at the impact of keeping a gratitude journal among patients diagnosed with Stage B heart failure (HF). Heart failure is considered a progressive disorder. So a team of researchers from the University of California, San Diego designed a study to see if the practice of gratitude journaling might slow disease progression and symptom development, as well as improve patients’ quality of life. The research team recruited 70 men and women who had been classified as Stage B HF for a period of at least 3 months. Researchers conducted pre-test assessments that included a six-item gratitude questionnaire, resting heart rate variability, and an inflammatory biomarker index. The biomarkers they focused on are known to be associated with progression of heart failure. Now this is important because, although there have been numerous studies on the benefits of practicing gratitude, many have focused on improving social and psychological well-being rather than physical health. And most of these studies have relied on self-report rather than objective health measures. Participants were randomly assigned to either an 8-week gratitude journaling intervention group or a control group where they continued to receive treatment as usual. Members of the journaling group received instructions to record 3-5 things on a daily basis for which they were grateful. Compared with the “treatment as usual” group, the gratitude group showed improved gratitude scores, which isn’t a surprise. But that’s not the whole story. The gratitude group also showed an association with reduced inflammatory biomarker index scores and increased parasympathetic heart rate variability. As always, it’s important to exercise caution when interpreting these kinds of results. We know that association is not the same as causation. And the researchers themselves acknowledge the limitations of working with a small sample size. I hope they’ll follow up with a large-scale version of this study. Still, the results are encouraging. So I encourage you to celebrate thanks-giving – and not just for one day out of the year. If you’d like to check out the study for yourself, you can find it in Psychosomatic Medicine, 78(6): 667-676. Now I’d like to hear from you. What experience have you had with an intentional gratitude practice – either for yourself or that you recommended for a client? How did it turn out? Gratitude always helps. Daily is best. Working on starting and ending day with gratitude practice as it tends to grow with more use. Grounding gratitude using psychology of Place, actualized it in the context of here now. I have been doing some work on Acceptance as gratitude and a free pathway to the safe road to love the others as ourselves. I can not say that I have been as successful in this but this is the time for me to put myself out there. Our chaplain is a friend of the family who brings the family together as being an informed and competent counselor. For this I am the most grateful to have him in our family and as a good confident friend who has the good heart to keep harmony at anytime. The pressure to stand out during a social time could put us in a situation to think in the dark and feel vulnerable especially in a social group such as a party. Among the familiar environment the felt good of nuturance is very favorable to our act in agreement of our environment and create a great sense of well being. I recommend this exercise for a client with mild depression. However, the client has difficulty coming up with things she is grateful for. I realise that to be able to recognise things to be thankful for is not an easy thing. the client may need some help initially to do it, perhaps with identifying one small thing and then increase to a few things. I am so grateful for the information offered by this site. It has helped me to sort out many confusions with concrete proactive advise. Thank you for all you give … freely! As a chaplain at a psychiatric hospital I emphasize gratitude and thankfulness. I begin every group with that. And at thanksgiving I continue to be amazed, the acute chronic people with mental illness who have faced so many challenges continue to find ways to be grateful! Everything this organization sets out is of highest quality. I agree. Great comments. Thank you. I will put American Indian horror stories in the past as soon as the Jews stop talking about the Holocaust. Thank you so much for the good laugh. I just sent you an email about the text alerts and how we can go about removing your number from the messaging system. For the gift of life is so precious I’m very thankful for my friends and children who have brought so much loving and happy moment into my life. I have a dear notebook in which I scribble and draw in my fear and frustration. A quote has caught my eye. I think it is quite revealing about how humor can be liberating and healing when in time of stress during the holiday season. Charlie Chaplin said, “My pain may be the reason for somebody’s laugh. But my laugh must never be the reason for somebody’s pain.” I have found this a very mindful and thoughtful, and I am very thankful to have this handy and triggering my own awareness about myself. Cheers to all! I have found that recalling all the events and people who have meant so much to me is a great joy to me. I have collected my thoughts in computer files and find it rewarding to read my comments and recollections from time to time. remembering begets more remembering. The process sort of “grows on itself; the more I remember, the more I remember. Thanks for sending this Thanksgiving message. Gratitude seems to be life-changing. Now I am eager to see the fMRIs and what parts of the brain light up and also see the measures of the health of a heart. I really am energized by NICABM using multiple measures of the healing of clients. The reports from the psychotherapists, self reports of clients, reports from loved ones who are in the circle of care for the clients, medical doctors, substance abuse counselors, probation/parole officers, and now the tools of neuroscientists. Incidentally, I believe gratitude is the heart of joyfilled living.Thank you for this timely piece. I also am thankful for the comment of the American Indian who will be mourning on Thanksgiving due to the hurt our ancestors put on them and the hurt from our generation not acknowledging and effectively reconciling with them. So I am holding both deep regret and a sense of bewildered helplessness as I also rejoice and am thankful for so much. Excellennt article. As a licensed HeartMath Trainer I use appreciation and measure the effect on heart rate variability. Giving thanks on rising, through the day and before sleeping makes a real difference in my feeling of well being Day to day. 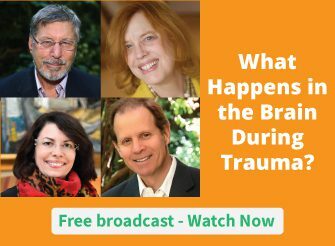 research on the subject of childhood and other traumas. I am Blessed Beyond Belief! I am thankful that I could learn simple acts to feel better and to teach it other people. For example the open hands that can help to relax and to trust. For example to caress your hands and other parts of the skin and feel better, although you had a bad experience. And of course I am thankful to have met John Diepold and have learned the Heart Assisted Therapy. A simple way of helping people to help themselves in a mild way. With gratitude comes a healthy sense of humor. Scripture tells us that “laughter is like medicine.” People with a thankful mindset are happier people, too. In my studies and practice I have found that gratitude and generosity go hand in hand. I spend each morning and evening in meditation giving thanks for all the people, places and things I am grateful for I this life. I do not take relationships or momentary encounters for granted, as each situation provides an opportunity to be grateful and to share an exchange of kindness and energy to allow another person to feel seen and appreciated. Thank you. Thank you for your amazing resources on gratitude and healing and for your trauma handouts. As a psychologist in private practice and the founder of the Georgia Chapter for the Childhood Domestic Violenc Association, you have helped me to be a better clinician. Thank you! and I thank God every day and those who have been supportive, remained loyal and the many others whose care and kindness have shone through during dark moments. The mind body and spirit focus of NICABM sets new standards. I am refreshed by the value of integrity embodied. and I am very thankful for the combined intellectual presentation/TIA of NICABM and its team of presenters. Learning to be grateful is very empowering. People who have experienced trauma feel that they have been and still are being attacked from the OUTSIDE and it causes them a feeling of helplessness. Gratitude instead comes from the INSIDE out. Keeping a gratitude journal is a great way to focus on the opposite of the wounds, actively, which gives a feeling of being in control in some way. I recommend it to many clients. Thanks for this and all other valuable information that you bring to us, Ruth! I would like to express my gratitude for the most wonderfully interesting and educating trauma course which was presented by NICABM. Thank you all very much indeed.